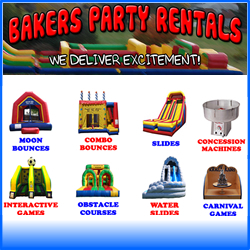 Bakers Party Rentals is a family owned and operated business that has been serving New Castle County since 1994. We are the largest and longest standing inflatable rental company in Delaware. 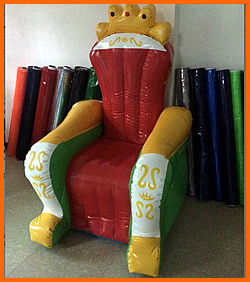 We have the largest variety of over 80 inflatables that cater to all ages of children. Our success throughout the years is due to our commitment to safety, quality, and exceptional customer service. We are fully licensed and insured. We have the largest selection of water slides in the area. We do it all! There is no event that is too big nor too small for us. We deliver excitement!!! Serving areas: Delaware – New Castle County – Bear – Middletown – Odessa – Wilmington – Symra – Dover and more. 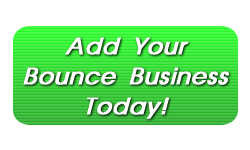 Bravo Bounce is your choice for moonbounce rentals in the Delaware area. We have moonwalks, bounce houses, combo bouncers, inflatable slides, water slides, and more. 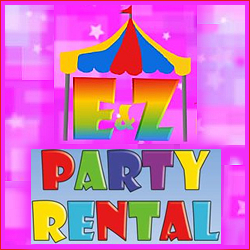 We also offer a very large variety of other party rentals such as tables, chairs, outdoor movie setups, photo booths, etc. 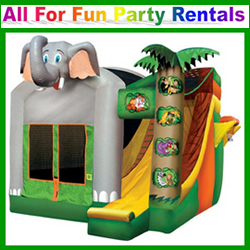 Call us today and book your rental today – make your next party or Delaware event a success with Bravo Bounce!